Udo Zimmermann (born 6 October 1943)  is a German composer, musicologist, opera director and conductor. He worked as a professor of composition, founded a centre for contemporary music in Dresden, and was director of the Leipzig Opera and the Deutsche Oper Berlin. He directed a contemporary music series for the Bayerischer Rundfunk and a European centre of the arts in Hellerau. His operas, especially Weiße Rose , on a topic he set to music twice, have been performed internationally and recorded. The Leipzig Opera is an opera house and opera company located at the Augustusplatz in Leipzig, Germany. Bayerischer Rundfunk is a public-service radio and television broadcaster, based in Munich, capital city of the Free State of Bavaria in Germany. 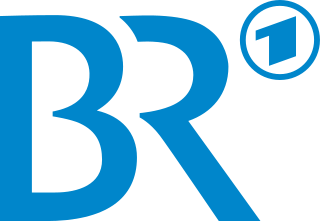 BR is a member organization of the ARD consortium of public broadcasters in Germany. Abitur is a qualification granted by university-preparatory schools in Germany, Lithuania, and Estonia. It is conferred on students who pass their final exams at the end of their secondary education, usually after eleven, twelve or thirteen years of schooling. In German, the term Abitur has roots in the archaic word Abiturium, which in turn was derived from the Latin abiturus. The "Carl Maria von Weber" College of Music is a college of music in Dresden, Germany. Johannes Paul Thilman was a German composer. Wolfgang Borchert was a German author and playwright whose work was strongly influenced by his experience of dictatorship and his service in the Wehrmacht during the Second World War. His work is among the best-known examples of the Trümmerliteratur movement in post-World War II Germany. His most famous work is the drama "Draußen vor der Tür ", which he wrote soon after the end of World War II. His works are known not to make compromises on the issues of humanity and humanism. He is one of the most popular authors of the German postwar period; his work continues to be studied regularly in German schools. The Semperoper is the opera house of the Sächsische Staatsoper Dresden and the concert hall of the Staatskapelle Dresden. It is also home to the Semperoper Ballett. The building is located near the Elbe River in the historic centre of Dresden, Germany. The Berlin Philharmonic is a German orchestra based in Berlin. Licht (Light), subtitled "Die sieben Tage der Woche", is a cycle of seven operas composed by Karlheinz Stockhausen between 1977 and 2003. The composer described the work as an "eternal spiral" because "there is neither end nor beginning to the week." Licht consists of 29 hours of music. Jörg Herchet is a German composer. Fritz Hennenberg [ de ]: Udo Zimmermann. Bouvier-Verlag, Bonn 1992, ISBN 3-416-02384-6. Udo Zimmermann. In: Sigrid Neef [ de ] (with Hermann Neef [ de ]: Deutsche Oper im 20. Jahrhundert. DDR 1949–1989. Lang, Berlin 1992, pp. 532ff, ISBN 3-86032-011-4. Michael Andreas Gielen was an Austrian conductor and composer who promoted contemporary music in opera and concert. Sidney Corbett is an American composer based in Germany. Siegfried Matthus is a German composer and opera director living in Berlin and is one of Germany's most often performed contemporary composers. Harry Kupfer is a German opera director and academic. A long-time director at the Komische Oper Berlin, he has worked at major opera houses and at festivals internationally. Trained by Walter Felsenstein, he has worked in the tradition of realistic directing. At the Bayreuth Festival, he staged Wagner's Der fliegende Holländer in 1978, and Der Ring des Nibelungen in 1988. At the Salzburg Festival, he directed the premiere of Penderecki's Die schwarze Maske in 1986, and Der Rosenkavalier by Richard Strauss in 2014. Aribert Reimann is a German composer, pianist and accompanist, known especially for his literary operas. His version of Shakespeare's King Lear, the opera Lear, was written at the suggestion of Dietrich Fischer-Dieskau, who sang the title role. His opera Medea after Grillparzer's play premiered in 2010 at the Vienna State Opera. He was a professor of contemporary song in Hamburg and Berlin. In 2011, he was awarded the Ernst von Siemens Music Prize for his life's work. Christian Thielemann is a German conductor. He is Chief Conductor of the Staatskapelle Dresden and the Director of the Salzburg Easter Festival. Friedrich Goldmann was a German composer and conductor. Ingo Metzmacher is a conductor and Artistic Director of the festival KunstFestSpiele Herrenhausen in Hanover. Toshio Hosokawa is a Japanese composer of contemporary classical music. He studied in Germany but returned to Japan, finding a personal style inspired by classical Japanese music and culture. He has composed operas, the oratorio Voiceless Voice in Hiroshima, and instrumental music. Michael Sanderling is a German conductor and violoncellist. Weiße Rose is a chamber opera in one act by Udo Zimmermann. The opera tells the story of Hans and Sophie Scholl, a brother and sister in their early twenties, who were guillotined by the Nazis in 1943 for leading Die Weiße Rose, a non-violent resistance group. The opera premiered at the Dresden Conservatory on 17 June 1967 with a German libretto by the composer's brother, Ingo Zimmermann, a well known journalist and writer in Germany. The opera was received fairly well. Zimmermann revised it the following year for a professional production in Schwerin. Hans Vogt was a German composer and conductor. Siegfried Palm was a German cellist who is known worldwide for his interpretations of contemporary music. Many 20th-century composers like Kagel, Ligeti, Xenakis, Penderecki and Zimmermann wrote music for him. He was also Rektor of the Hochschule für Musik Köln and Intendant of the Deutsche Oper Berlin. Sarah Nemtsov is a German composer. Nemtsov was born in Oldenburg and now lives in Berlin. She started her music lessons and composing aged eight. She started playing the oboe aged 14. Her compositions are recognizable through their confrontation with literature and other art forms. More recently, her compositions are a combination of the styles of classical and music theater. Elena Mendoza is a Spanish composer of contemporary music and musical theatre. Tilo Medek, originally Müller-Medek, was a German classical composer, musicologist and music publisher. He grew up in East Germany, but was inspired by the Darmstädter Ferienkurse. He composed radio plays and incidental music. His setting of Lenin's Decree on Peace led to restrictions, and after he showed solidarity with the expatriated Wolf Biermann, he also had to move to the West, where he composed an opera Katharina Blum based on Heinrich Böll's novel, and worked in education. He received international awards from 1967 on. Claudia Barainsky is a German operatic soprano. She has performed internationally, and won awards for her roles in contemporary operas such as Bernd Alois Zimmermann's Die Soldaten and Aribert Reimann's Medea. Der Schuhu und die fliegende Prinzessin is a fairy-tale opera in three acts by Udo Zimmermann with a libretto which he wrote with Eberhard Schmidt based on the eponymous fairy tale by Peter Hacks. It was first performed on 30 December 1976 at the Semperoper, staged by Harry Kupfer. 1 2 3 4 5 Block, Simona (5 October 2018). "Lebenselixier Musik – Komponist Udo Zimmermann wird 75". Neue Musikzeitung (in German). Retrieved 9 October 2018. 1 2 3 4 "Udo Zimmermann". Wer war wer in der DDR? (in German). bundesstiftung-aufarbeitung. Retrieved 6 October 2018. 1 2 3 4 Nicolai, Felicitas. Udo Zimmermann. Munzinger Biographien (in German). Retrieved 6 October 2018. 1 2 3 Ernst, Michael (6 October 2013). "Lautstarker Mahner, schwieriger Freund: Udo Zimmermann zum 70. Geburtstag". Neue Musikzeitung (in German). Retrieved 9 October 2018. ↑ Hennenberg, Fritz (May 1980). "Die Mittlere Generation: Versuch über sechs Komponisten der DDR". German Studies Review (in German). The Johns Hopkins University Press on behalf of the German Studies Association. 3 (2): 289–321. doi:10.2307/1429724. JSTOR 1429724. ↑ "Udo Zimmermann". Breitkopf . Retrieved 6 October 2018. 1 2 Schmöe, Stefan (16 October 2002). "Weiße Rose". Online Musik Magazin (in German). Retrieved 18 October 2018. ↑ Ernst, Michael (5 October 2013). "Macher und Feingeist: Udo Zimmermann wird 70". Dresdner Neueste Nachrichten (in German). Retrieved 19 November 2018. ↑ Korfmacher, Peter (5 October 2018). "Der Komponist und Dirigent und Manager Udo Zimmermann feiert seinen 75. Geburtstag". Leipziger Volkszeitung (in German). Retrieved 19 November 2018. ↑ Warrack, John; West, Evan (1992). The Oxford Dictionary of Opera. ISBN 978-0-19-869164-8. ↑ "Udo Zimmermann nach Abschlusskonzert der musica viva ausgezeichnet". Neue Musikzeitung (in German). 13 July 2011. Retrieved 6 October 2018. ↑ "Works by Udo Zimmermann". Breitkopf . Retrieved 18 November 2018. 1 2 3 4 Kosch, Wilhelm (2011). Zimmermann, Udo. Deutsches Theater-Lexikon (in German). Walter de Gruyter. pp. 2816–3818. ISBN 978-3-11-026901-7 . Retrieved 19 November 2018. 1 2 "Recordings by Udo Zimmermann" (in German). German National Library . Retrieved 18 November 2018.